It is no easy feat coordinating the many details that go into your event, but I am here to make the process as easy as pie (well... cake). The first step begins long before you cut the cake. You and I will colloborate to determine your serving requirements and style inspiration. We will work together to finalize a design, select a winning flavour combination, and seal the deal with a deposit. Once the design is set, I will tie on my apron and get to work bringing your cake to life. While I am busy whipping up batches of delectable homemade salted caramel and blending luscious ganache from the finest couverture chocolate, you can use the time to kick back and relax. From my premium rolled fondant to pure vanilla extracts, you can rest assured that your cake will taste as good as it looks! Let's get the party started! I offer several options to make your special event run as smoothly as possible. 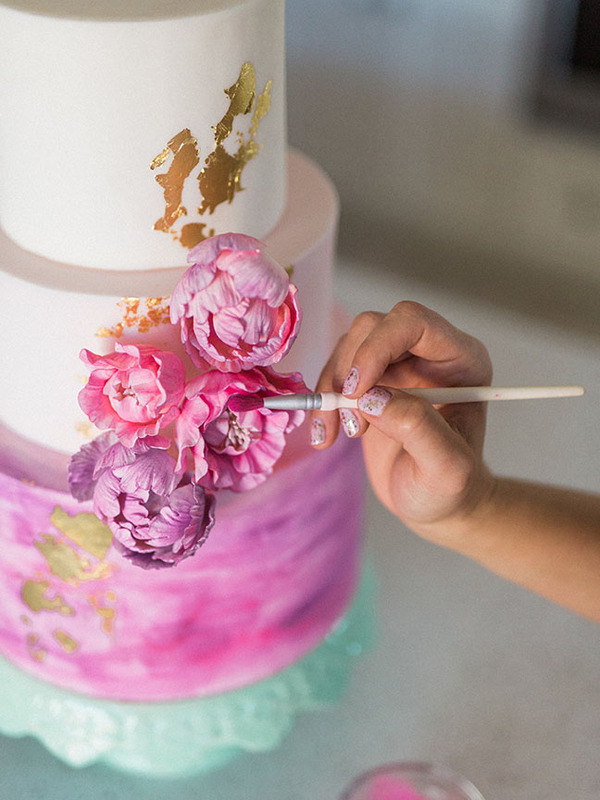 Can't find the perfect cake stand? I've got you covered! With a wide variety of cake stands available to rent, you are sure to find the perfect one! Looking to pick up your cake? I offer convenient pick up slots to accomodate your schedule. Too busy to pick up? No problem, for a small fee I will bring the cake to you! I will coordinate with you (or your venue) to make sure your cake is delivered right on time, so you won’t have to lift a finger—just your fork.